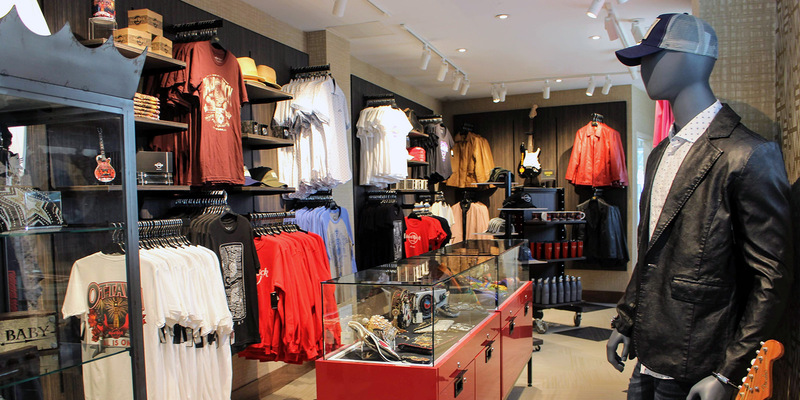 Rock Shop® is as much a part of who we are as the world-class entertainment at every turn, providing replicas of rock icons, memorabilia and more for you to treasure. Relive some of music history’s greatest hits, and pick up some mementos for the trip home from the Rideau Carleton Raceway Casino. Anyone of our Retail Associates will rock your world. Share the Rideau Carleton Raceway and Casino experience with friends and family. Rideau Carleton Raceway and Casino Gift Cards can be used in the Rock Shop, on the casino floor, and at all food outlets. Gift Cards can be purchased on site at the Rock Shop.